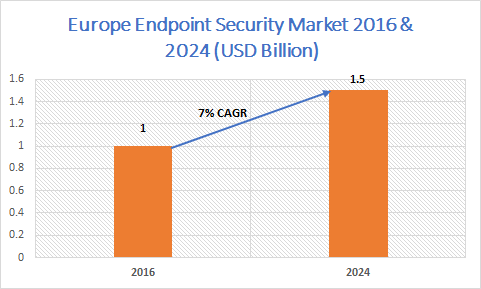 Europe Endpoint Security Market is estimated to be over USD 1 billion in 2016 and is expected to grow at a CAGR of over 7% during the forecast timeline. Favorable government initiatives and public-private partnerships to improve the cybersecurity infrastructure will contribute to the uptake of endpoint security solutions. For instance, in October 2015, the French government announced its National Digital Security strategy to support the digital transition of the French society. The strategy is focused on securing the state information systems & critical infrastructures, essential operators to the economy & society, privacy, personal data, and cyberspace stability. The countries in Europe are rapidly adopting the digital services and swiftly integrating advanced technologies into their daily lives. As a result, the risk of cyberattacks & data breaches is also increasing. In 2018, in the UK, over 19% of the charities and 43% of the businesses reported cyber-security breaches. 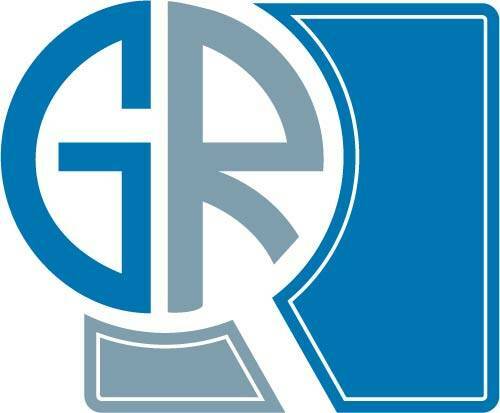 This has given rise to the requirement for advanced & flexible security solutions. The maintenance & updates service segment is expected to hold a major market share of over 40% in 2024 due to the growing demand among organizations to manage their enterprise networks. These services offer customers with support programs, wherein the service providers treat customers’ endpoint security issues as high priority to ensure the smooth functioning of their businesses. In Europe, the UK endpoint security market is expected to hold a market share of over 25% in 2024. The UK government announced to provide support to the country’s cybersecurity companies. The government also launched a new strategy to support the export of cyber security technology. With a rise in the number of cyber-attacks on the NATO countries, the government is urging businesses from the country and its allied countries to improve its cybersecurity infrastructure. The strategy will help its local cybersecurity companies gain contracts, providing security to high-profile international buyers and protecting networks across the world. The companies operating in the region are introducing new products with enhanced security functionalities to provide protection to a wide array of end-devices such as laptops and smartphones. For instance, in December 2018, Sophos Central was provided with additional plugins to strengthen its product capabilities. XG Firewall when combined with Sophos Central, allowed users to manage all the Sophos-synchronized security products from a single cloud console. The global endpoint security providers are entering into strategic partnerships to offer new security solutions to enterprises. For instance, Symantec and BT partnered to provide endpoint security offerings to SMEs in the UK. The SMEs leveraged their endpoint protection capabilities to protect their businesses from emerging threats. Some of the leading endpoint security companies in Europe are Webroot Cisco, ESET, F-Secure, McAfee, Kaspersky Lab, Microsoft, Symantec, VIPRE, Trend Micro, Sophos, Ahnlab, Comodo, IBM, and Panda Security.